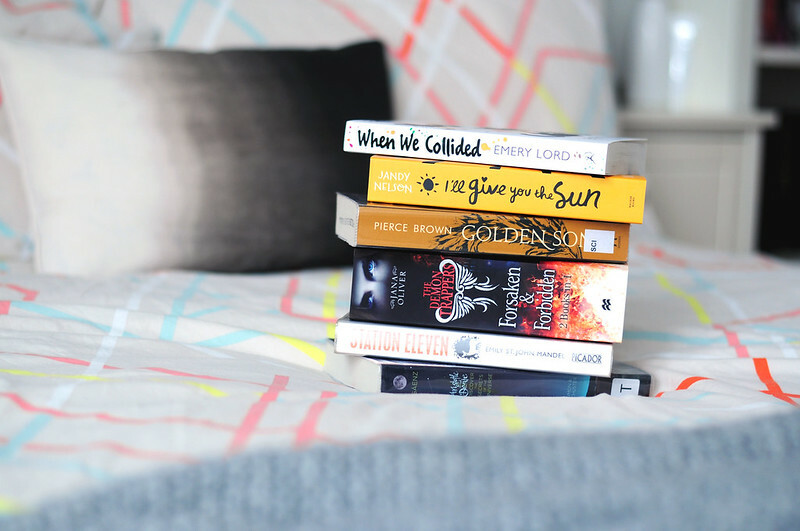 When We Collided | I'll Give You The Sun | Golden Son | Forsaken & Forbidden | Station Eleven | Aristotle and Dante Discover the Secrets of the Universe. Since taking this photo I've actually finished the two books from The Demon Trappers series by Lana Oliver and am now half way through the third book. I don't know why it's taken me so long to start reading the series! I must have this book sitting on my shelf for at least a year and then I read the two books over one weekend. I included Golden Son in my last To Read post and I am determined to finish it this month! I liked the first book in the Red Rising trilogy but it took a while to get into and it's the same with Golden Son. Like I said in my last post, it feels like a huge chunk of the story is missing and I have no idea what's going on or what the characters are talking about.